Talofa Lava—welcome to Samoa! Think of picture-perfect, long sandy white beaches framed by a lapping marine-blue ocean, lush rainforests with cascading waterfalls, vibrant flora and fauna and, under the ocean, the most amazing colourful gardens you could imagine: this is Samoa, the last unspoilt paradise in the world. The Samoa currency is the Tala (dollar) and Sene (cent). Opening hours: Shops are usually open Monday - Friday 8:00 am - 16:30 and Saturday 8:00 am - noon. They are generally closed on Sundays. 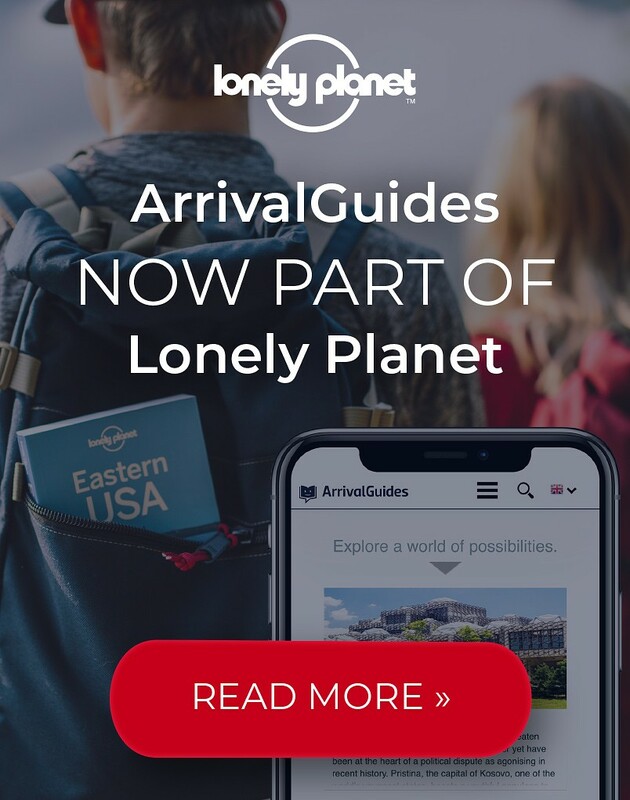 Each of the islands offer a totally different experience – from dense rainforests to soaring cliffs and tranquil lagoons. The fishing is excellent, snorkelling and diving superb, hiking amazing and, for those that simply want to lie and do nothing, there’s deserted beaches and peaceful lodgings to let time pass you by. 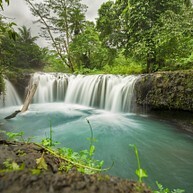 Samoa is also blessed with an abundance of beautiful waterfalls. 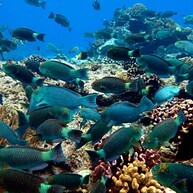 On the island of Upolu you will find some of the most spectacular near the southern coast. Famous for being the setting of the 2004 Gary Cooper film "Return to Paradise", Lefaga Beach is a lovely beach where to relax and sunbath. For those who likes to snorkel, this is a great place to search for giant clams in the crystal clear water or why not take a kayak and explore the shoreline? There is a nearby resort providing toilets, showers, a restaurant and other conveniences. 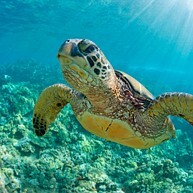 Swim with Green Turtles at Auala Green Turtle Conservation managed by the Auala women’s committee, where guides can show you these ancient mariners before they are released back into the wild and at the wetlands sanctuary at Savaii’s Satoalepai village. The Satoalepai Wetlands is the ideal place to bring your family – the kids will love feeding these gentle giants and swimming among them is a memorable experience! 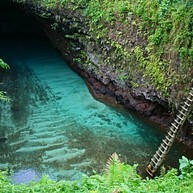 A must-do adventure for all the tourists in Samoa is the To Sua Ocean Trench: climb down the steep ladder leading to a natural pool of crystal clear, serene waters, and enjoy the unique experience of swimming in a grotto! 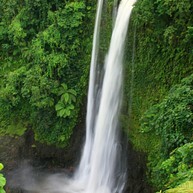 Due to the tropical climate and fertile soils, the rainforests of Samoa are a lush and vibrant paradise. Native wildlife such as seabirds, skinks, flying foxes, geckos, as well as a plethora of unique flora call the forests home. Le Pupu-Pue National Park on Upolu is one of the best with extensive walking tracks and a listed 42 bird species. Tafua Peninsula Rainforest Reserve, in the southeast, is another bird watchers haven where you may see the rare Samoan tooth-billed pigeon. In the Falealupo Rainforest Reserve, take the treetop canopy walkway built about 40 metres above the ground among giant Banyan trees! 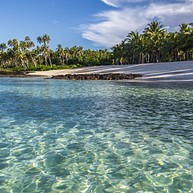 Beautiful beaches are one of Samoa´s fine points and Lalomanu Beach are one of them. The picturesque white sand and the blue-green transparent water are like straight off a postcard and the tranquil vibe just makes it a great place to relax and recharge your energy. Villa Vailima mansion was built in 1890 by the famous Scottish author Robert Louis Stevenson and was his home for the last five years of his life. Even though he only lived in Samoa for a few years, he did write quite a number of novels during that time. 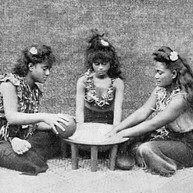 The Samoan people loved him and he was given the name Tusitala, which means “teller of tales”. A half hour tour explores Villa Vailima and, inside the museum, you´ll discover a myriad of artefacts, while outside carefully manicured lawns give an air of elegance. Stevenson and his wife Fanny Osborne are buried next door in the Mt Valea Scenic Reserve. At Alofaaga Blowholes, witness jets of water forced hundreds of feet in the air. These impressive blowholes are found near the village of Taga, on southwest Savaii, so come here to have a look and if you are lucky you also notice some locals throwing coconuts into the holes, which then are blasted back into the air! To get an insight into the customs and traditions of the indigenous population, save some time to visit the Samoa Cultural Village where ceremonies, rituals, songs, dances and workshops will be performed! Plus, participation is free (although it is polite to offer a small "thank you" donation). At the Togitogiga Waterfalls, in the village of Salailua, enjoy a swim in one of the delightful swimming holes – there is no entry fee here and toilets and changing rooms are always available. If you are feeling more energetic, take the hike to the top of the 55m high Fuipisia falls. You will find this spectacular jungle waterfall off the pass road in the village of Lotofaga. This is also a great place for bird watching. 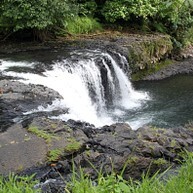 Another powerful waterfall is the Sopoaga Falls where you will find a lovely garden and picnic area. The garden is full of native plants and trees making it a beautiful place. Make sure not to miss the coconut-husking demonstration and taste the lovely fruit before leaving. The Mu Pagoa Falls, mark the point where Samoa’s largest river tumbles into the sea. This is for sure an excellent place to take pictures and where you can experience local villagers as they are engage in using this natural resource in their daily life activities. 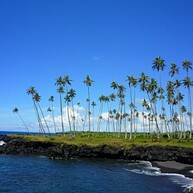 Upolu is the main and most populated of the islands in Samoa. The nation’s capital Apia is located here, the perfect place to familiarize yourself with the island life, pick some souvenirs and get to know the cultural heritage and history. 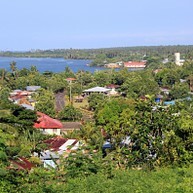 Savaii is actually a little bigger than Upolu and offers their visitors a true insight into the traditional Samoan way of life. It is also here the nation’s highest peak, Mt Silisili rises 1866 metres and at Cape Mulinuu you can stand at the last place on earth and view the final sunset of every day. 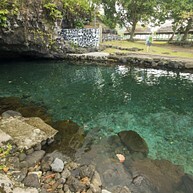 A beautiful spot to explore, Piula Cave Pool is a crystal clear freshwater spring pool and cave that was originally formed by a lava tube. There are lot of small-middle sized fish to swim with in the pool and the amazing setting with the beach view just enhances the experience. A good advice is to bring your own food with you since there are no restaurant nearby.